Where She Went - Lis Les Livres- Read Books! 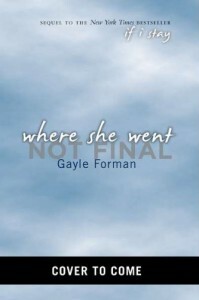 http://lisleslivres.blogspot.com/2012/11/review-where-she-went-by-gayle-forman.htmlI'm usually not one to say that sequels are better than the original, but this book is!Characters: Mia and Adam are still as likable as ever, but it was nice to hear Adam telling the story. Through this POV, Adam is revealed as sensitive, sweet, even funny at times. He is absolutely perfect! If he doesn't qualify as being your literary boyfriend, you've set your standards to impossible.Plot:This book is a romance, but I warn you that it is so much more. These characters have a lot of baggage due to their past; there's tension and drama, my favorite element of fictitious work.Writing: I really enjoyed the incorporation of different formidable places in New York. Most people will know of some of the places. In my opinion, when the setting of a book is familiar, I tend to enjoy it more because it feels more relatable. 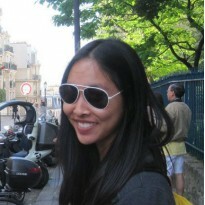 Additionally, Gayle Forman shows her musical influence on her writing with each chapter beginning with lyrics from Adam's songs. Overall, I think Gayle Forman creates beautiful writing. Would I recommend it to a friend? Heck yes! You should read If I Stay before, but I think you technically could read this without actually having read If I Stay if you read its as well as this synopsis.